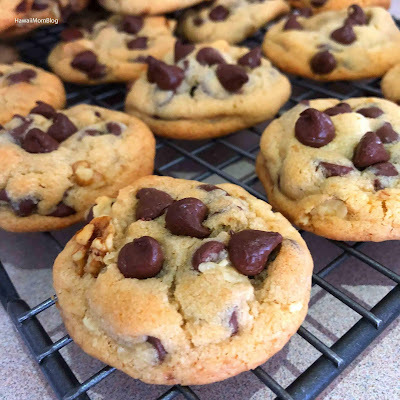 My never-ending quest to find a favorite Chocolate Chip Cookie recipe had me turning to Betty Crocker. I found a recipe online and decided to give it a try. They were good! They were crispy on the outside, and chewy on the inside - just the way I like them. My kids loved them too. Mix together the sugars, butter, vanilla, and egg. Roll dough into balls and bake for 8 to 10 minutes.